Ecco un’altra recensione che ci piace pubblicare. E’ stata fatta dal blog PisaIsAll e la potete leggere per estesa qui. A cozy restaurant that is open for lunch year round, and during summer time is open for dinner as well. Here the food is home made with fresh ingredients. During lunch time is completely packed by all the Pisani. This means, the food is good and authentic. Also they have a very nice wine list. I have many favorite dishes from them. If I want a light lunch, I go for the sformatino, a veggie soufflé, served with fresh salad. If I want something with more substance, then pasta with clams! 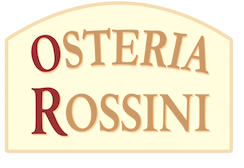 Osteria Rossini is located at Piazza Dante.